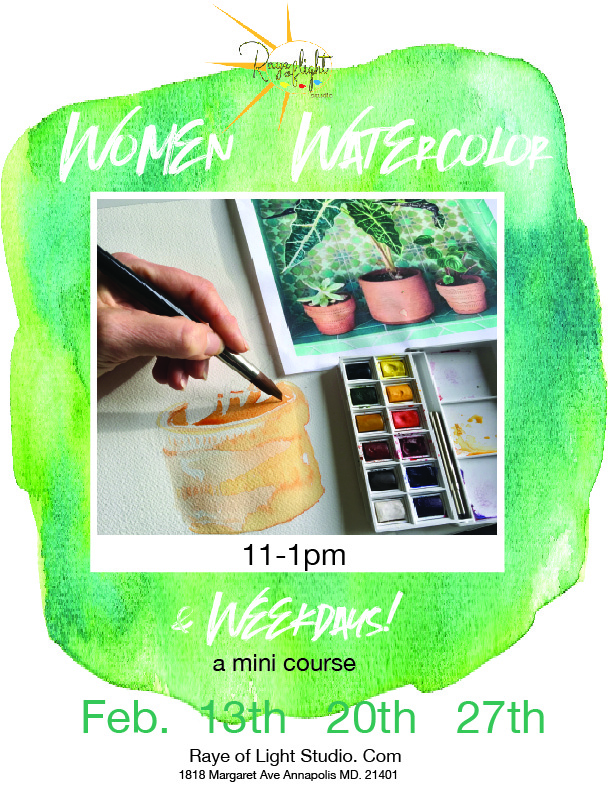 Take a mini course in watercolor ..hang out with interesting women on a few Weds. in February. We all love watercolor and how Fun to break away for a few hours to learn something new or practice to make perfect. This is a beginner course for those whose range is ” true beginners who know nothing” to those who have taken one or two classes still consider themselves beginners and want to get better. We will meet for three classes from 11 to 1pm starting Weds Feb 13th, in which you can learn and practice watercolor technique with our guidance. This mini course includes an introduction to materials / mixing / blending color /Simple layering techniques to build up contrast and lots of fun tips and tricks. You will practice what you have learned with us giving step by step instruction for those who need it and just art direction for those who need less. All materials and instruction included for this 8 hour course over three Weds. Feb 13th, 20th and 27th. You may bring any food and drink in with you if desired.